In the Bujinkan organization’s vast collection of teachings, techniques, and tools, there are a wide assortment of unusual weapons and tools that have been adopted, adapted, and re-purposed to fit new needs and intentions. This isn’t new for the martial arts, a tertiary glance at Okinawan martial arts will illustrate that. However, one of the more exotic and supposedly specialized tools has a great wealth of mystery and misconceptions – the shukō. In regards to these things, they aren’t always easy to source, but they do tend to have a certain logic about them so I’ll peel them off quickly: The notion that the shukō are unique to the ninja don’t generally make much sense as anything visibly unique to the ninja would simply give up one’s cover; as such, like many such interesting tools, they originate in agricultural practices (elaborated on later). The name means “hand hooks” (手鉤) not “tiger hands” (手虎), though a viable homonym, there are literally no reputable sources for this way of writing the name. One may take some artistic license in regards to such things, and the connection is an easy one to make, but neither the history of the tool, nor any prevalent sources support this. 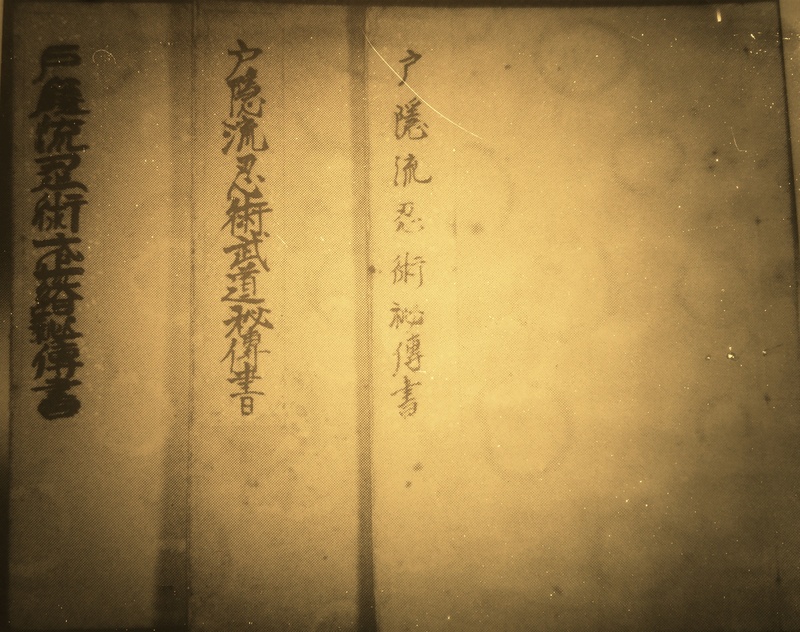 One source that we can look to is in Takamatsu Toshitsugu‘s own writing, one of the densho of the Togakure-ryū (see the above slideshow), where by his hand, it is written 手鉤. This kanji is also reproduced in Masaaki Hatsumi‘s “Way of the Ninja” (page 48). 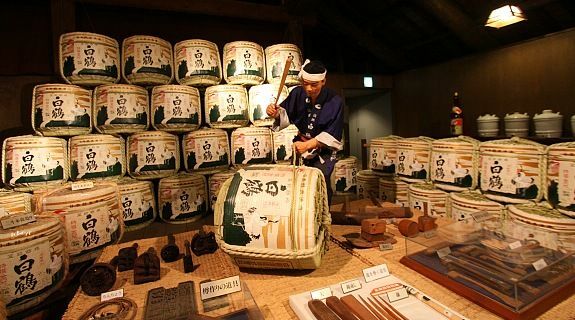 The foundation and evolution of the shukō begins in the agricultural fields of ancient Japan around the Kofun period (c. 250 CE – 538 CE), when the establishment of iron tools really started to take hold in rural Japan. At this time, the source tools we can find is that of the Asakagi (fiber hook; 麻鉤), also called the tekagi (with the same spelling as shukō; 手鉤), used for hooking bails of straw, hay, wheat, and in early times, bundles of rice, for manual moving and transportation. There was also the Asanō (shallow agriculture; 浅農), a three-to-five pronged claw on a shaft, used for hand plowing gardens and smaller crops. This could also be used for the same purpose as the above mentioned asakagi in moving bails of various horticulture product. Quite a while later, during the Heian period (794 – 1185 CE), there was a certain merger to this tool in certain regions of Japan. At this point, the development of the tekkō kagi (claws that cover the hand; 手甲鉤) can be seen (source waiting for release ). This was used similar to that of a pitch-fork, a tool used for scooping up hay, straw, and wheat manually. Sometime in the Sengoku period (1467 – c. 1603) certain regions developed a variation of the tekkō kagi, but with the hooks worn on the inside of the palms, often with cloth or leather sleeves similar in use to chaps in order to protect the bare skin from whatever produce was being handled (see figure 3). This allowed better leverage and handling when lifting and moving bails (koku; 石) of rice by hand. The version made popular by Togakure-ryū ninjutsu is made of a metal band that wraps the palm, and a wrist band. The hooks are located on the inside of the palm (see figure 2). (Figure 3) The use of shukō and manipulation of rice bails by Katsushika Hokusai (葛飾 北斎, 1760 – 1849). The first approach, and most common one it seems, is to explore one’s taijutsu while wearing shukō. This, however, requires that you understand the qualities of the tool. For example, one can assume that you could simply slap the enemy with the claws and have some exciting results. However, what then happens when the claws get stuck in bone? Now this slows you down; this is also where one can quickly see where this was a tool before it was a weapon – the hooks are designed for fibrous produce, not human… consumption. The second way draws from the more acrobatic section of Togakure-ryū, from the Togakure-ryū ninjutsu hidensho (戸隠流忍術秘傳書), which is shown in Figure 1 above. This details some vague forms of evading sword attacks and takes into account matters such as striking the opponents vitals with the metal band of the shukō as well as using it to catch a sword blade in the hands and hoist the weapon away from the enemy. Finally, there is the Santō Tonkō gata (鼠逃遁甲型) found in the Shinjin Ichinyo no maki (神人一如之巻). This writing lays out the primary techniques of the shukō, shuriken (throwing blades; 手裏剣), and metsubushi (blinding powder; 目潰し). These forms are derived from Hajutsu (破術), and deal with dire situations where one is detected and forced into combat. This is different from conventional kata dealing with the defeat of the enemy in that these kata detail how to escape from various grabs, stun or weaken the enemy and flee or hide. the second section deals with being unarmed (or with shukō and various other tools) while facing an armed assailant. These techniques again don’t necessarily deal with killing the enemy, but stunning or disabling, and then fleeing or hiding. The third section is regarding situations where you are discovered, cornered, and outnumbered. Then things like stones, metsubushi, and misdirection is deployed in order to survive and escape. Figure 4. Shinjin Ichinyo no Maki (神人一如), containing the Togakure-ryū Santo Tonko Gata – including usage of the Shukō, Shuriken, and mitsubishi. As can be seen above, although certain groups have weaponized this uncommon farm implement, it is not inherently a weapon. Shukō are not weapons for war, they are soto no mono (improvised weapons; 外の物), but before being a weapon, it was a tool for carrying things on the back. So a warrior or samurai who is working in the fields is suddenly attacked by somebody and he used the tools by accident. That is to say the shukō wasn’t something you necessarily carried (though see the photos at the end of this article to see how they were carried), unless that was a planned thing. Hatsumi, Masaaki. The Way of the Ninja: Secret Techniques. (2004). Hatsumi, Masaaki. Shinjin Ichinyo no maki 神人一如の巻. Toshitsugu, Takamatsu. Togakure-ryū Ninjutsu Hidensho 戸隠流忍術秘傳書. It has been stated in other sources across the Internet, but here is an example where a notable amount of misinformation has been cast. I don’t know where this information comes from, but according the “About” page, it is linked to To-shin-do. I emphasize that this is not a slight against Stephen Hayes at all, but the information has been clearly inaccurate. Even in North America, though notably later (circa 16th century), I personally can attest to seeing tools similar to the Tekkō kagi for the purpose of moving handfuls of hay and straw before the bundling of hay bails with large scooping movements, having grown up on a horse farm in an French Acadian family (the initial European settlers of the country to be known as Canada). I have translated several primary sources on commission, and this is one such one that is under a confidentiality clause; it is regarding agricultural tools and their usage during the Kamakura (1185–1333) or Muromachi (1336–1573) periods. I can say that this is a long gap in history, and there was tremendous developments and improvements in metallurgy during this time as there has always been two major influences in historical development: military, and entertainment – in this case the Sengoku jidai (warring states period) stretched from 1467 to 1603; a very long time, but a very scientifically influential time. This particular scroll teaches not only the fighting techniques of the tradition, but also the philosophical principles of “harmonizing with nature”, that is to say, Shinjin Ichinyo. As I have explained elsewhere, the notion of the kami (神) in the Shinto faith, are like the manifestations of the elements of nature; and like that, this scroll teaches how to escape and hide with the five phases (gogyo; 五行) as inspiration. As such, learning to rely on and harmonize (become one with) the phases of nature is becoming one with the kami. Since the popular series, Game of Thrones (GoT) has recently concluded it’s sixth season, this is the time that Ibinge through the whole season. Of the multiple storylines, one of the more popular ones is that of Arya Stark, who appears to be apprenticing as an assassin of sorts. Her training appears to be a rather intense, full time discipline of psychological drilling and physical adversity, in the process she has had her sight taken away from her, she’s starved, participated in embalming of the dead, and so on. One of the more interesting excercises is where she seems to appear to be getting disciplined in the art of deception and lying. However, as of episode 4 of season 6 (as shown in the video below), it appears to be more that she is being instructed on how to be more truthful; a very important aspect of ninjutsu. Fidelity means having only truth but nothing false or wrong in the mind. If you pretend to be true-hearted but are wrong or have half-truths deep in your heart, it is not fidelity. Fidelity is a principle of earth, in terms of the Chinese doctrine of the Five Elements. As every season has a doyo period (The phase between seasons), benevolence, righteousness or loyalty should have fidelity within them. Without fidelity inside, then these elements will not be as they should be. Reemmber, if you are unable to be completely true and transparent with yourself, you cannot respectfully deceive your enemy – the ego. It was a very special seminar, that celebrated the 10th anniversary of Kacem visiting and teaching seminars in Slovenia, with the theme of Togakure-ryū (戸隠流) and Naginata (薙刀). The Santō Tonkō no Kata (鼠逃遁甲の型) was taught and explored through the technique of Migi Kata Ude Tonsō no Kata (片腕遁走之型) . Kacem starts with the original version and touches briefly on the Tanren (鍛錬) and understanding the Rhythm of the movement. The densho version is then broken down into the concepts of Hachimonji no Kamae (八文字 ) and Take Ori (竹折 ) in progressions allowing for better learning and understanding of the technique more fully. The section of Naginata started off with the practice of Kamae and briefly entered a section of teaching Kamae gata. From there the technique Zengo kiri/Do giri (前後霧/胴切) was shown in its original form. Again Kacem broke down the one technique with a series of smaller techniques and a progression of techniques that emphasized each of the various Kamae. Once more this was a very nice way to teach and show the real possibility of the densho technique. To see more of this, visit Onmitsu Kage for the seminar footage! “It is said that humans have grown weaker since we have started to eat cooked food. Shinobi no mono would normally eat unpolished, brown rice, but white rice when fighting. This is not simply becasue white rice is easier to digest but it also stems from the fact that white rice was seen as a symbol of victory. While the martial arts contains Omote (overt; 表) techniques and Ura (covert; 裏) techniques, the Ninja diet has three sides to it: Omote, Ura, and Kū (the void; 空). The Ura technique encourages the practitioners to fill the Void with anything they can, and to eat unbalanced, strange, possibly ‘disguised’ food. Leading a deliberately irregular life also helps you to cultivate a sense of balance for different time zones (like those on shift work). When undercover, Ninja might spend long periods unable to soak up the sun, and they would therefore train to be “night owls.” Ordinary people tend to regard such unorthodox lifestyles as indicating failure, but the Ninja were in control of their own lives, and their spiritual powers of endurance helped them perfect the skills needed to transform the unconventional into commonplace activities. Whenever I travel around the world giving guidance in Ninpō Taijutsu, I never have any problems with jet lag or unusual food. Unlike many, I actually relish such experiences. Having a healthy everyday diet is still the foundation on which one should build the kind of body which will help one’s Taijutsu grow. Above all, I recommend eating plenty of vegetables. The Ninja Kihon Happō diet consists of brown rice, tōfu, sesame, miso soup, no salt, no sugar, uncooked food, and colored vegetables. The brown rice can be roasted on a stone using sunlight. The other important thing is to eat everything, without preference or fussiness. Moreover, you should enjoy your food – and chew it well. This is useful for recovering from mental and physical fatigue.